This is a photograph from shortly before a wedding at the Peak Edge Hotel in Derbyshire taken during the bride's getting ready activities. 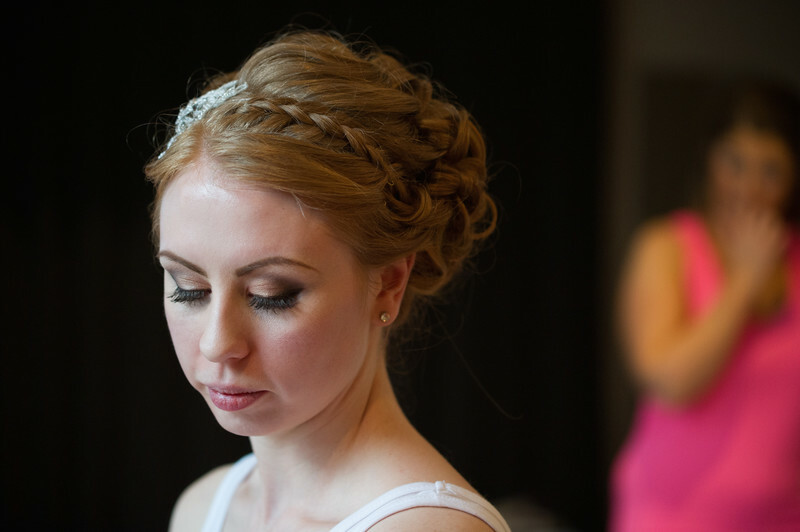 Heather was mid-hair and makeup when I took this image of a very thoughtful bride. One of our favourite weddings, such a marvellously happy day with some wonderful people at a lovely venue in the heart of the Peak District. Some brides feel they don't want or need this part of their day documenting and in the end it is their choice, we do feel though that it forms part of the day, the last time the bride has as a single person before she becomes part of a couple. These moments are wonderful to look back on and remember what was going on, the hustle and bustle of the comings and goings before setting off to the wedding ceremony. Shortly after this picture was taken and Heather was ready in her dress, makeup finished her father arrived to take her down and give her away to her new husband. 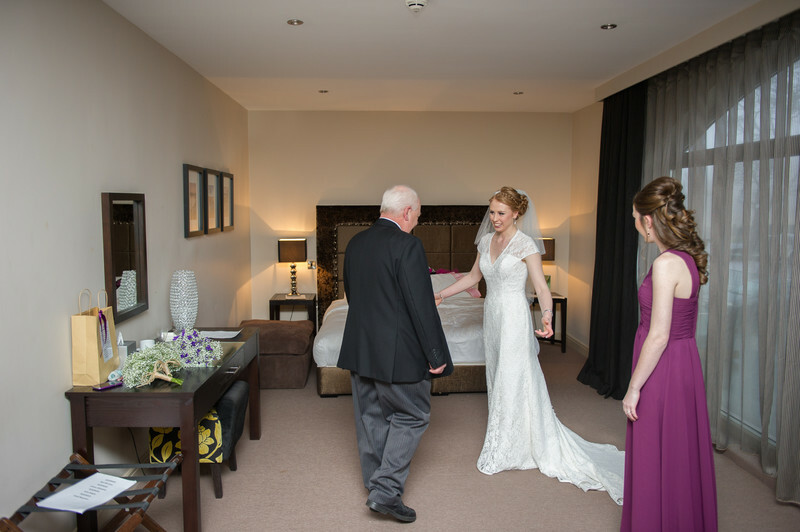 Heather went to meet her new husband downstairs in the hotel, this image was captured as the service progressed and they made their vows. 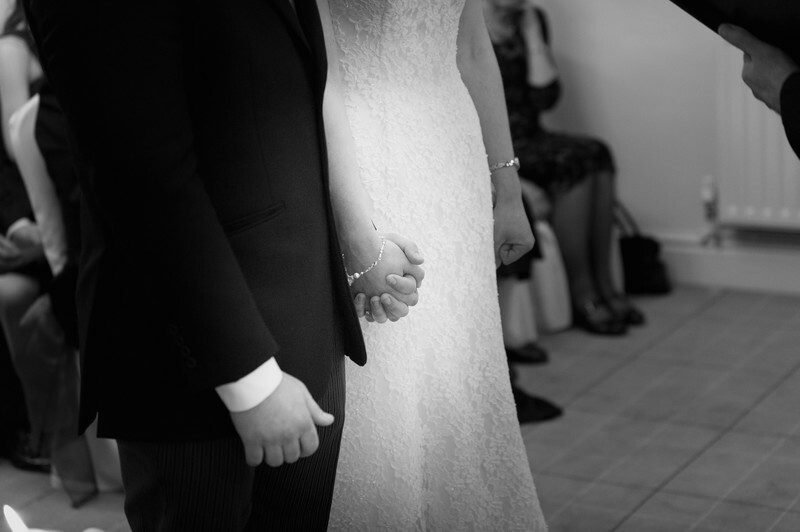 I love this image as it shows such a tender moment between the couple as they hold hands in front of their guests as they declare their love for each other.